" Mofuwa " was born and raised in Yokohama.She has drawn lots of pictures since she was a child. Then, she has grown up and graduated from one of college of design in 2008. After that, she got a job as a web designer. However, she has kept hope to be an artist. Finally, she has decided to be a freelance illustrator. 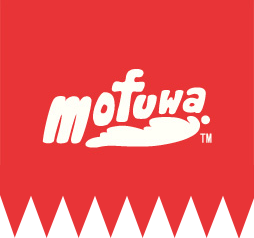 The name of Mofuwa means onomatopoeia of Japanese.It is a coined word that collectively the "mofumofu" & "fuwafuwa". The picture and texture on a painting, texture, smell, movement, etc., have been expressed in friendly atmosphere. She as "Mofuwa" loves animals and her motif is always animals. She used to watch tv program of animals' documentary film and animals' cartoons for kids well, and go to a zoo as well. During such childhood experience, the most helpful for understanding about creatures like mammals was an animal encyclopedia. A picture book that animal of detailed text and detailed illustrations came a lot there was a new discovery even read many times. She began transcribing the animals in order to remember the picture book. Is the first chance for the drawing picture. The book taught her many things. It has plenty of knowledge about animals and beautiful illustrations. She was keen on reading an animal encyclopedia. She said that it gives me new discovery each time when she reread. Then, she copied the book by herself to learn these animals in the book. That is her first an opportunity to draw a picture. These days, she is trying to make an original encyclopedia of animals with lively illustrations to tell a real animal life. She wishes her encyclopedia can be fun for kids and adults.On the other hand, she makes picture story books of animals which have personal stories like human beings.She has had a huge dream since a child that finish drawing all living things in the world. It is quite simple ,but enormous. 2005 My Illustrator & Desiner work start. 2006 Graduate from Art Proffetional School,And took a job with an web design corp.
2008 Work in web design that jeans manufacturer brand EDWIN & radio station J-wave websites. I became independent as a freelance. 2009 Avater item design for mobile phone. with many company. 2010 , and new year postcard illustration resourse making. I start to teach graphic & web design for student in Technical College. 2012 Illustration for Newspaper ad with JRA(Japan Racing Association). Making Website Page for burg hamburg burg Corp.
2013 Illustration for smartphone app. Please send to E-mail on work commision and comment. (c)2014 mofuwa all right reserved.